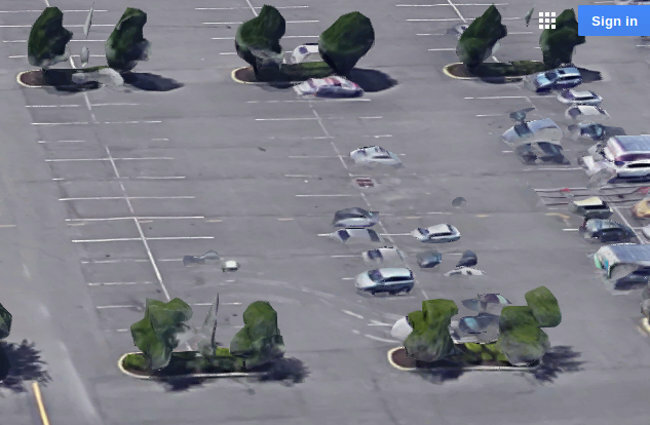 Clement Valla published an article on Rhizome.org in 2012 that I missed about weird Google Earth "mistakes" (hat tip E.D.). 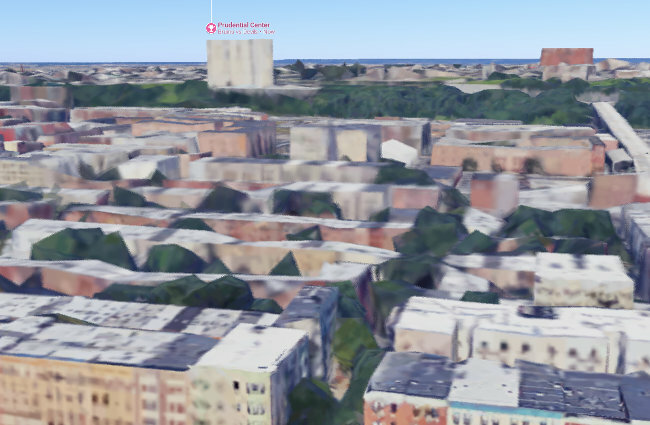 Didn't realize (and kind of don't care) that Google uses a tabletop 3D model as an intermediary image between "satellite" and "street" views and imperfect translation "through" the CAD rendering creates deformed landcape incidents such as bridges that appear to hug the earth like snakes, rather than soaring in the sky. Some of the images are notably bizarre. Google should not be proud -- this is like their dirty linen. 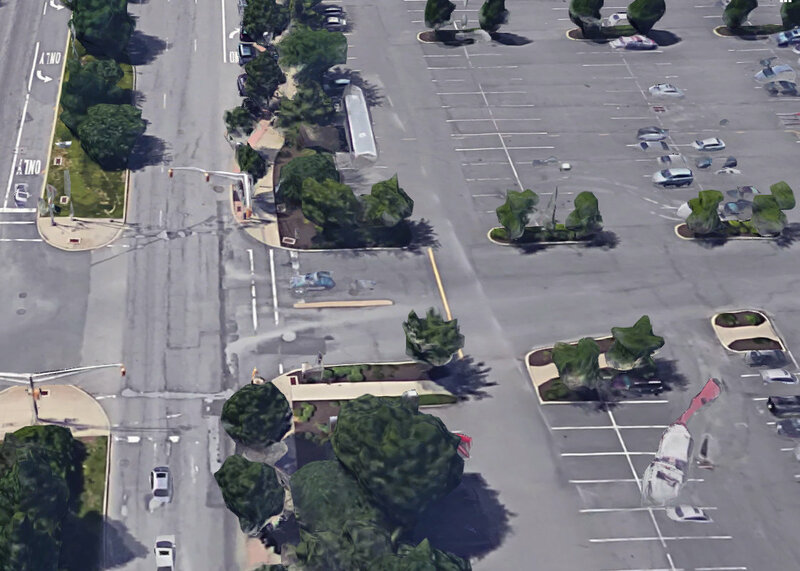 [As for their] 3D effect where the user switches from satellite view to street view and is taken on a bird's-eye thrill ride through time and space onto the tabletop of street reality: experiencing all that theatrical overkill in the course of something as mundane as looking up a local sandwich shop drives me a bit crazy. Valla says they aren't glitches but they are! 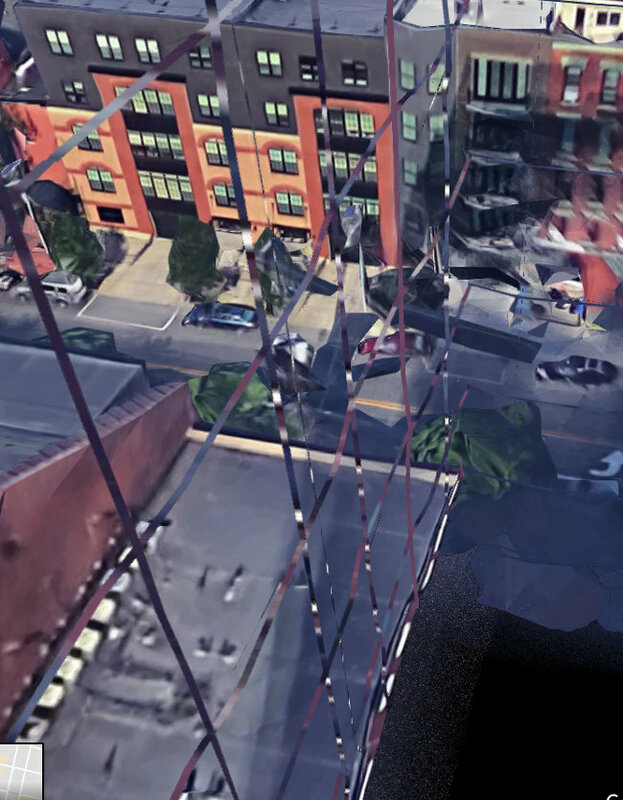 The mistake is using fake 3d reality as a conduit between photo views of sky and street. Why do that? Weirdly squashed bridges I view as symptomatic of our not-ready-for-prime-time culture, which treats all innovation as a success regardless of whether it works. Kind of like self-driving cars (speaking of squashed). After sending the emails was doing an ordinary search and used it as an occasion to "freeze" some of those imperfect (but artistically tasty) "transitional" images. Alex Katz and Wayne Thiebaud saw the future!